So, I know the numbers are off, but this is a reference to The Last Supper, right? Reminiscent, but it's mostly I think just because everyone is only on one side of a long table, rather than spread on each side as often done for Thanksgiving pics (or ala Norman Rockwell). The poses and such don't seem similar or intended. 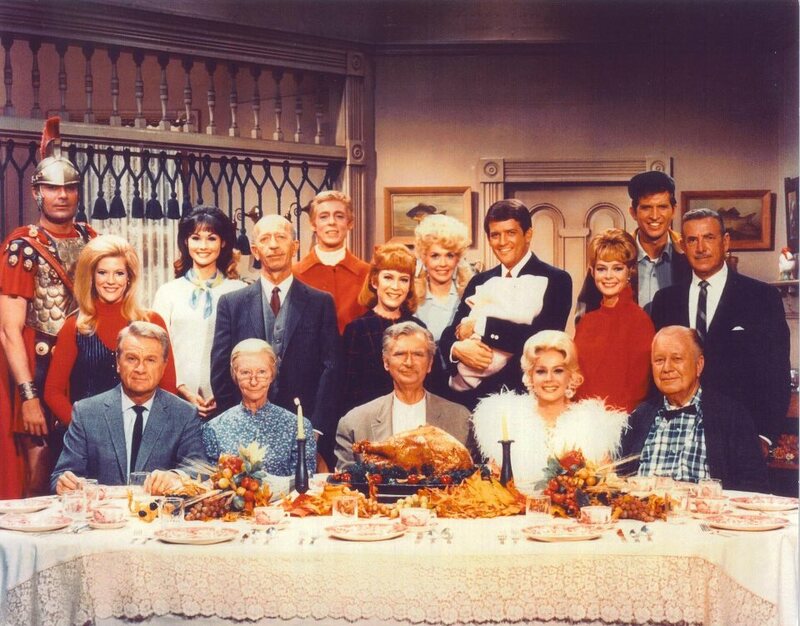 If they were all facing the camera (their gaze seems focused on the dish near Alan), it would also be a fairly common TV Thanksgiving layout (such as here). If we wanted to cite it, I think that's how I'd phrase it, "the placement of characters on one side of the table is reminiscent of The Last Supper," since that's true enough, without getting into whether it was the intent. Big Bird's pose is what did it for me. But yeah, I'm probably projecting. Sesame Street’s Facebook page just posted this. Now here’s a more direct reference! Nice! The numbers are also off, but yeah, that's a clear reference.